While many an amateur mixologist knows how to make an appealing drink, it requires a lot more knowledge and skill to become a professional bartender. 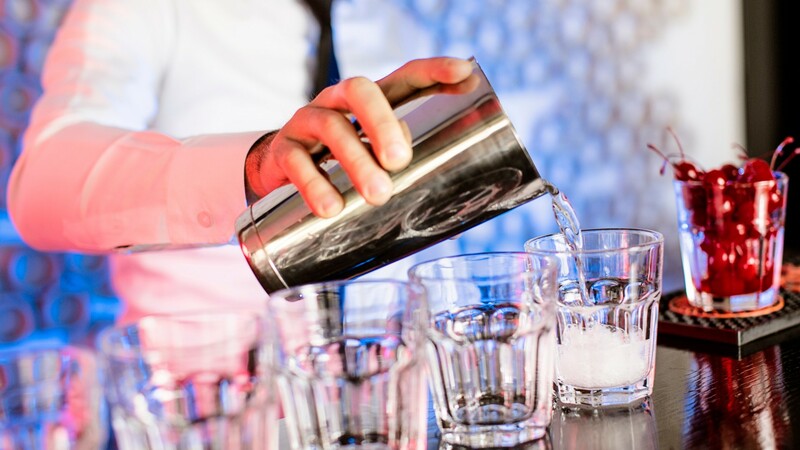 Bartenders must know how to prepare a wide range of drink recipes— and the appropriate equipment to make them— and mix drinks quickly without waste. They serve drinks directly to customers, and work with wait staff and kitchen crews, often in busy conditions, to ensure that customers receive prompt, accurate service. Bartenders prepare garnishes for drinks, keep the bar stocked with supplies, and serve food to customers who sit at the bar. In addition to ensuring that customers are of legal drinking age, they converse with customers, and when necessary, they manage patrons’ unruly behavior. Bartenders also process payments from customers. Most bartenders work at restaurants, bars, clubs, and hotels. Full- and part-time schedules are both common, as is working late evenings, weekends, and holidays. Most bartenders learn their skills on the job, often starting as bartender helpers or wait staff. No formal education is required, although upscale establishments may prefer candidates with bartending experience or classes. Most states require workers who serve alcoholic beverages to be at least 18 years old. See more details at O*NET OnLine about bartenders. Bartenders by U.S. Department of Labor, Employment and Training Administration is licensed under a Creative Commons Attribution 4.0 International License.